» Next Up for Parent Engagement – PARENTS Buying Into the Idea! Next Up for Parent Engagement – PARENTS Buying Into the Idea! 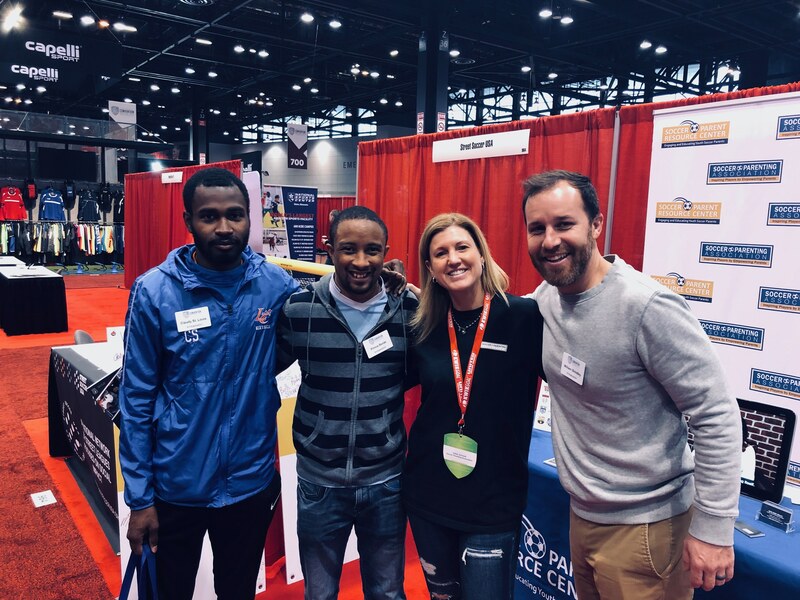 The United Soccer Coaches Convention took place January 9 to 12 in Chicago. This is likely the 15th convention I have attended over the years beginning in my teens as a demonstrator for Dr. Machnik’s goalkeeping sessions and then receiving my award as a Youth All-American. In college I attended when I accepted my Collegiate All-American award. After college it was Conventions while I was working for Lanzera, a U.S. Soccer manufacturer, and then as a college coach, and now with Soccer Parenting. By far, this was my favorite United Soccer Coaches Convention yet. 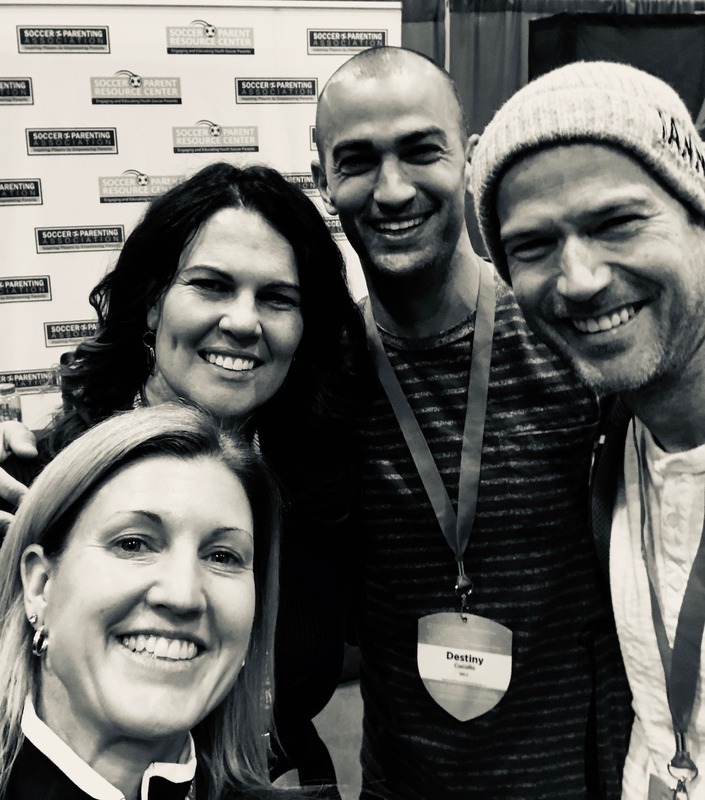 As the Convention is the largest gathering of soccer coaches in the world - these four days are rather non-stop with catching up with old friends and meeting new! I am so grateful for the relationships I have formed with some amazing companies led by truly quality individuals such as Duktig Brand, Techne Futbol, Modern Soccer Coach, TOVO Academy, Brock USA, Street Soccer USA, Dan Abrahams Coaching, Seth Taylor & Patrick Ianni and the new friendships I formed with even more amazing companies and people such as Torrx Soccer, Beyond Pulse, Tom Bates, Go Play Tours and others. During the week I was struck by the collaborative conversations I was a part of and witness to, acutely aware of the learning and development happening by well-intentioned coaches. ​Finally, after 5 years of people thinking I was a bit crazy trying to engage parents – it felt like the tables have turned, and the term “Parent Engagement” was both well-received and also spontaneously discussed in the corners of the bars and the rows and rows of convention seats in the various classrooms. I also enjoyed this Convention because I loved sharing it with my co-worker – Kelley Schmidt. Kelley is the Operations Manager for Soccer Parenting – overseeing the hundreds of relationships we are growing and cultivating with youth soccer clubs all over the country. Kelley manned the booth in the Convention Exhibitors Hall and was at times overwhelmed with coaches stopping by to sign the Belief Statements, to learn more about the work we are doing, and to talk about best practices for Parent Engagement in their teams or clubs. I presented twice to rooms largely full of coaches and club administrators. 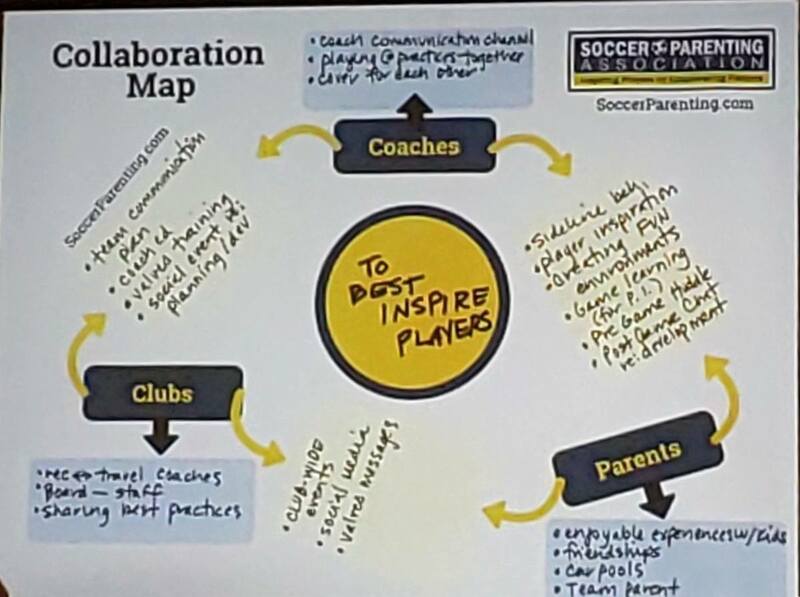 My first presentation was on Friday, entitled “Collaboration As A Force Multiplier: Club, Coaches and Parents Working Together to Inspire Players and Grow the Game.” Collaboration is a new topic for me – and, as it turns out, the most natural progression from my work with Parent Engagement. I’ve gone from convincing coaches to the need and benefits of engaging parents to now talking about the benefits of us all collaborating – clubs, coaches and parents alike. The research I did on Collaboration was very affirming when it comes to me being on the right path with the foundational work I have done over the years about trust and Establishing Trust in the Coach-Club-Parent Relationships (one of my presentations from the previous Convention). As I presented on Friday, I was excited about the mood in the room and the eagerness demonstrated by the coaches and administrators in attendance to put collaborative practices into play in their club and team cultures. On Saturday I presented about “A Parent Engagement Plan for your Organization.” Compared to previous years where the bulk of my conversation has been about the benefits and importance of Parent Engagement, convincing coaches to consider the idea – this year I was all about putting practices into place, discussing specific plans for coaches and clubs, and sharing best practices I have been fortunate to be witness to across the country and world. Saturday was actually one of my favorite talks I’ve ever given. Again, the response was affirming and the energy in the room was sometimes palpable. Our biggest challenge remains getting parents on board and excited about being engaged in the youth soccer experience of their child. ​Years and years of parents being pushed away, parents' (understandable) caution of being portrayed as a crazy soccer parent if they ask questions, our general societal culture when it comes to parenting…all leads many parents to remain unengaged. I do believe when parents seek information about how to best support their player, great things will happen. I am hopeful parents will begin to take a keener interest in the soccer development of their child, seek resources and education to support them, and realize the important role they play in their child’s sporting future and health. Sometime between my talks on Friday and Saturday I was struck with the idea that activating parents, imploring and encouraging them to be more engaged, is the next wave of my Soccer Parenting and Parent Engagement journey. Our culture will continue to shift. The work we have been doing these past 5 years to have coaches open to and now excited about parent engagement will continue to flow to parents in messages and programs from clubs and coaches (and Soccer Parenting!) specifically designed for parents. 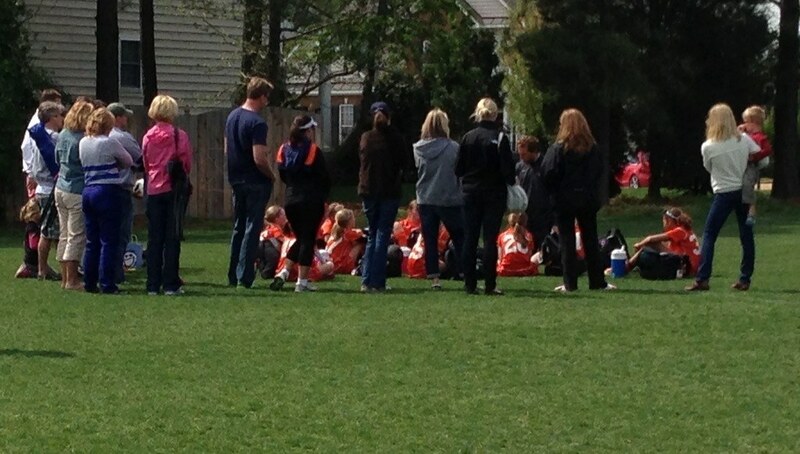 Just as coaches needed lots of convincing and consistent messaging to change their minds about the value of parent engagement, now parents must be convinced with consistent messaging as to the importance of them being more engaged and educated about their child’s soccer experience. As coaches and clubs continue to establish trust with parents, to clearly define the coach-parent relationship, to offer educational opportunities for parents, and to educate their coaches on Emotional Intelligence so coaches are best equipped to manage these relationships – the attitude of parents will begin to shift and they will appreciate the importance of being engaged and educated. We must start to define Parent Engagement under the auspices of Enhanced Player Development. To be clear – these moments did not fill my ego – they filled my heart. They are proof that the work we are doing is helping, our culture is changing, parent engagement has become an accepted practice amongst clubs and coaches, and because of that – more and more children will feel inspired by the game, choose to continue playing, and develop a love for the game they will take with them into a healthy adulthood.